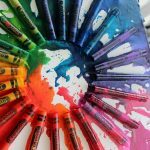 You will find the best artist paint brushes here for oil, acrylic and watercolor art. There is every size brush and handle you can think of available here! 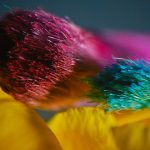 Whether you are a beginner or a professional artist, there are brushes here for your! Some are inexpensive, and some are the highest quality available. Find the suitable brush for all your painting needs showcased below. This might possibly be the largest online selection of artists’ brushes you will find! These make great gifts for the artists in your life. Give a nice brush set for Christmas, birthdays, and other special occasions. Let your artistic side flow with quality brushes for every type of painting! This versatile, rustic look brush set is great for beginners and for those that go to art classes. Create watercolors, acrylic or oil paintings! You can do the finest details without worryng about the brushes widening out or messing up what you are doing. 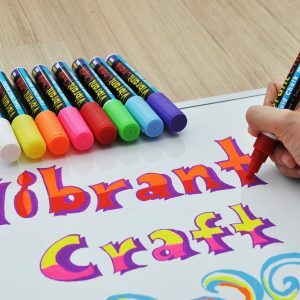 You’ll find the quality of the wooden handles have a great grip and are very comfortable to hold while painting. No more getting sore hands from painting those details for a long time! You will get a wide variety of brushes that will suit the 3 main painting mediums. This large assortment of oil, acrylic and watercolor brushes has the perfect mix of sizes, brush types, lengths, widths and handle thickness, in both flat and round brush that are very well constructed and will serve their intended purposes very well. Stay organized with the free roll-up canvas pouch. 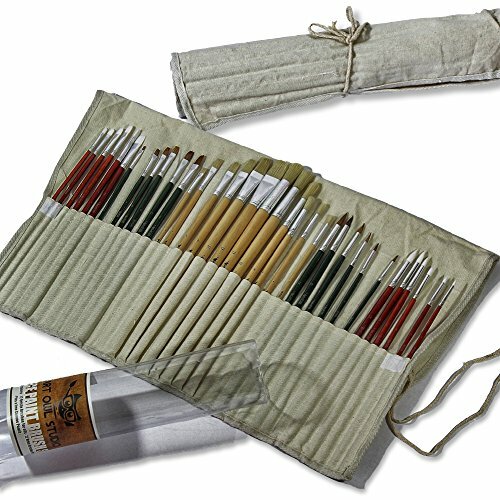 The roll-up canvas cloth pouch keeps the brushes organized and protected. 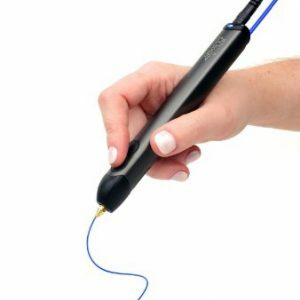 Easily carry your brushes to art class or any other location to paint conveniently and damage-free! Available for Oil Color, Sketching and Watercolor (each sold separately). Compact and portable. 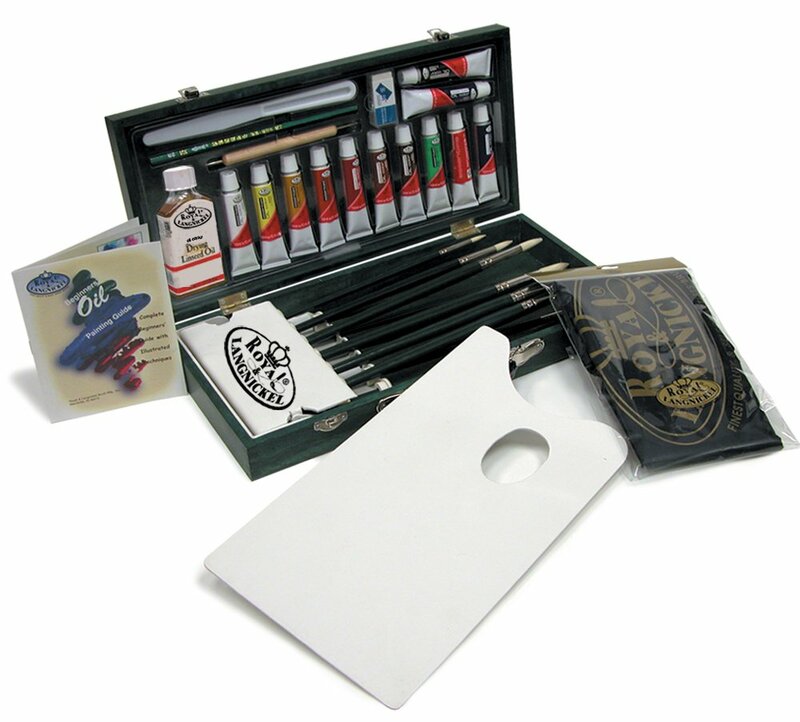 This convenient painting artist set features Royal & Langnickel’s Regis brushes. These brushes are given superb performance with surprising resiliency. Made with a naturally curved construction, they hold generous amounts of paint and wear well. The art set features a flip-up brush organizer to keep brushes in great shape; all supplies are stored in a convenient wooden storage box with handle for ease of use, travel, and storage. Includes 12 Regis Brushes (fan 4; round 2, 4, 6, 8; bright 2, 4, 6, 8; filbert 4, 8; red sable liner 1), 1 palette knife, 1 wooden stylus, 12 oil color painting tubes (12ml), 1 apron, 1 plastic palette, 1 graphite pencil. Also includes 1 white eraser, 1 oil painting booklet and 1 wooden storage box. Ideal responsiveness for fluid or heavy body acrylics. Provides control and maintains shape and mimics natural hair. Contoured handle provides balance when painting up close by the ferrule or back by the tail. 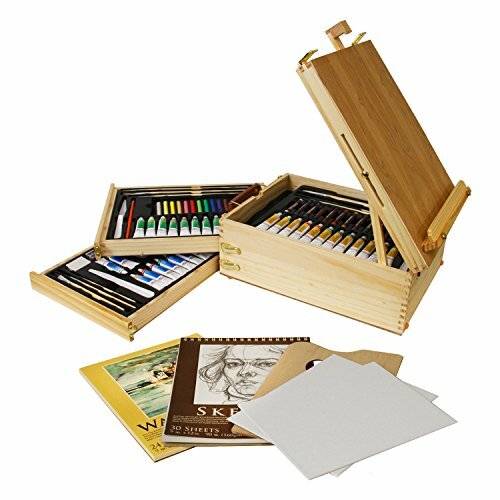 Sets include 12 paints, 6 brushes 1 each sharpener for pencils, graphite pencil, palette knife, white eraser, 9″ x 12″ painting pad and artist guide booklet. All packed in a large reusable storage case. Watercolor brushes are also suitable for acrylic and oil color. Excellent spring and enhanced color carrying capacity. Sable or synthetic blend performs close to sable at a moderate price. Click on photo to see what brushes are included in this watercolor set. It’s a mega collection!!! Available in 3 color options and one black 2-pack. 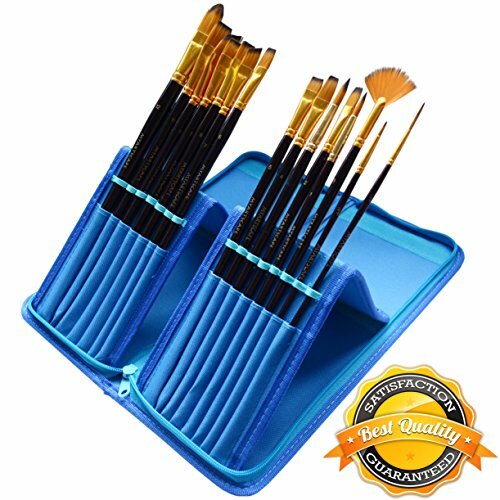 PAINT BRUSH SET – 15 Synthetic Art Paintbrushes for Acrylic, Oil, Watercolor, Gouache, Plein Air & Face Painting. FREE ‘COOL BLUE’ HOLDER – Converts to Pop-up Stand – Convenient for Travel, Drying & Easy Access While Painting. RICH VARIETY – Luxurious Brush Selection – Fan, Filbert, Shader, Bright, Flat, Angle, Round & Rigger. 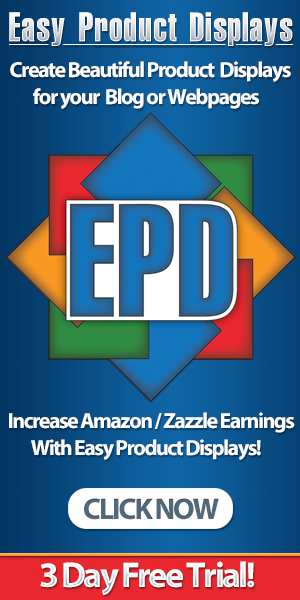 RAZEREDGES™ – Anti-shedding Synthetic Hair That Comes to a Fine Razor Edge. LONG-HANDLES – For Better Balance and a Proffesional Feel and Look.